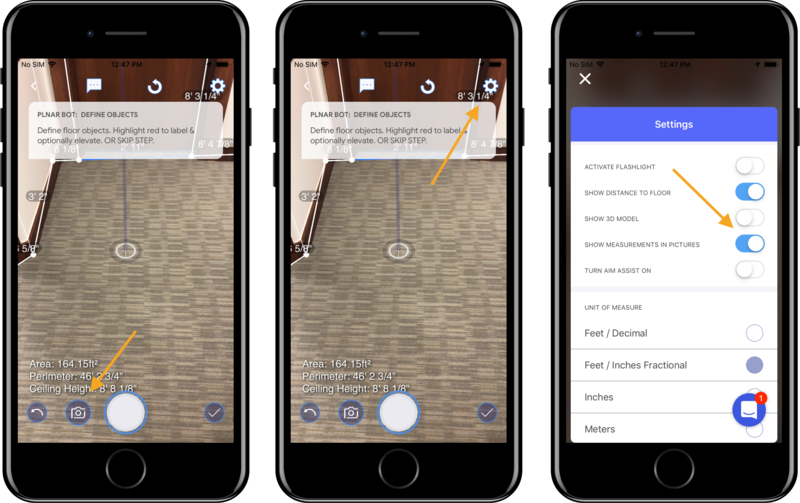 Once you've created a PLNAR project, you'll be able to add previously taken photos from your phone's gallery and capture photos during your Room Planning AR Session. 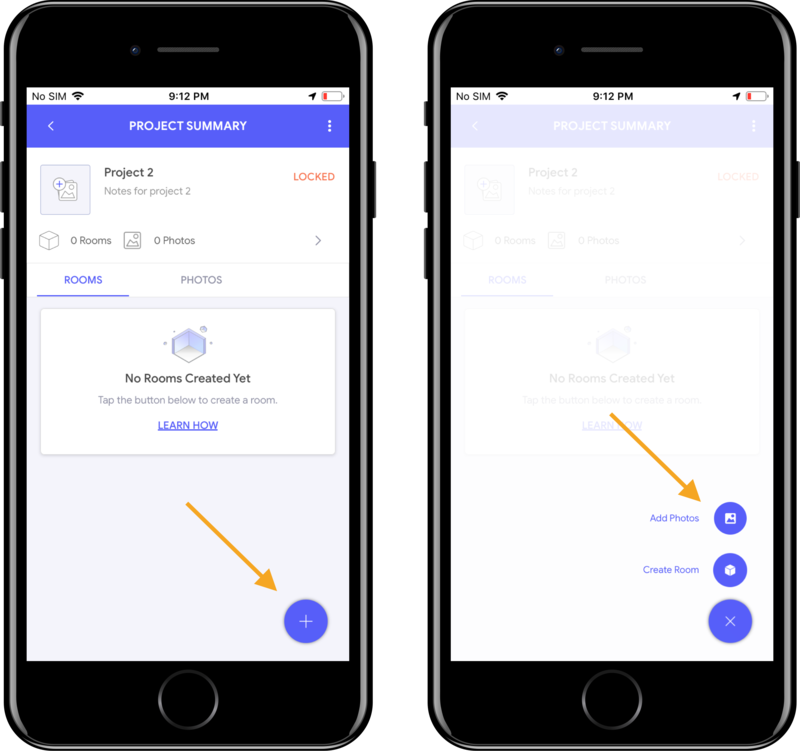 Navigate to the Project Summary screen. Locate & tap the "+" button at the bottom of your screen. Tap "Add Photos" from the presented menu options. 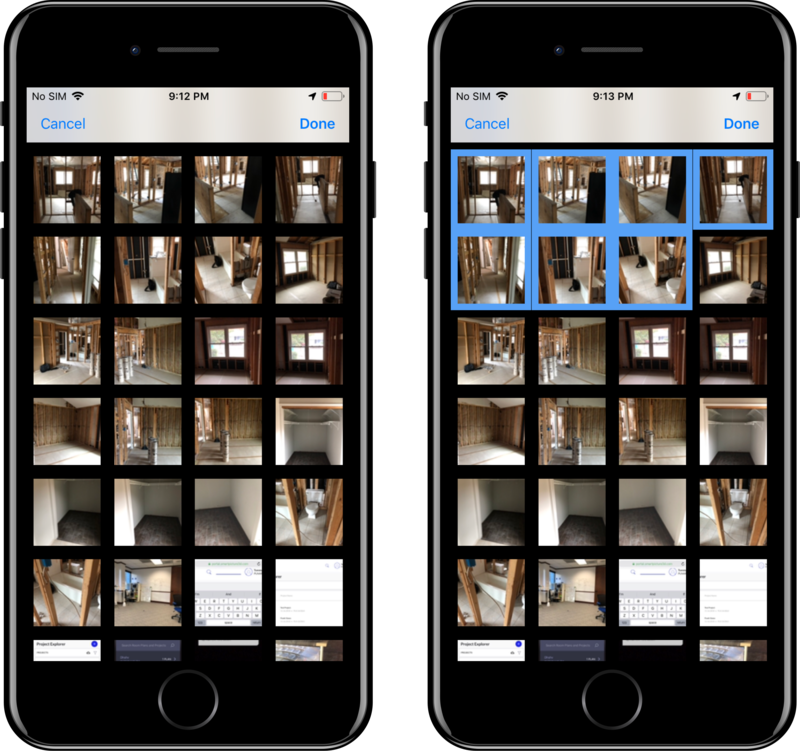 Once presented with the photo gallery, tap to select the photos you'd like to add to your project. Tap "Done" to confirm selection. 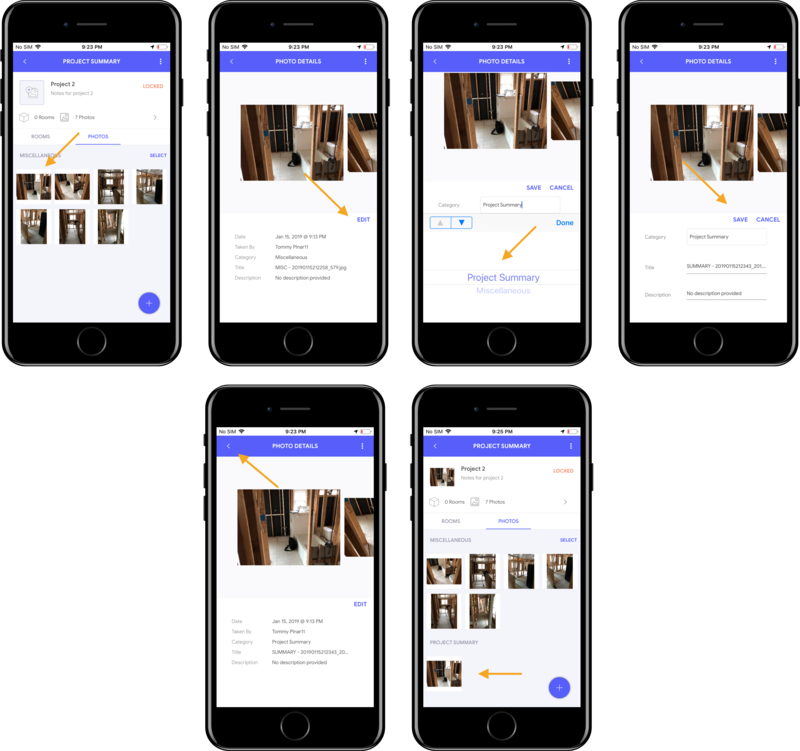 Photos added from your gallery are automatically added to your project's Miscellaneous category. 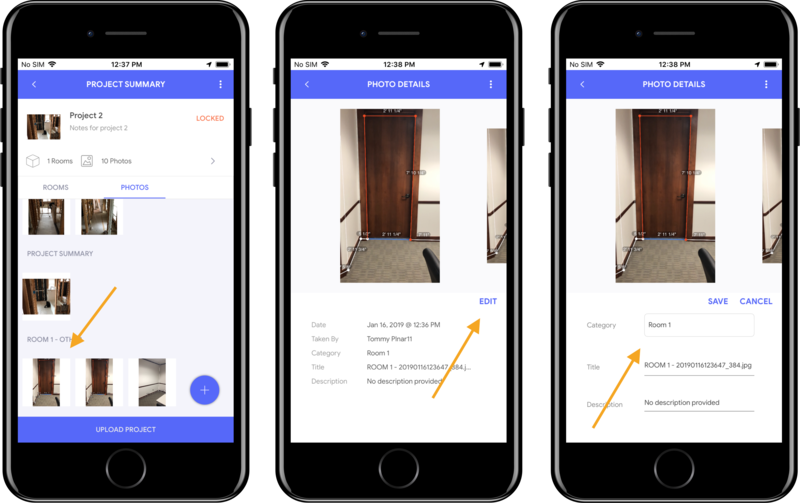 Photo's can easily be moved from one category to another from within the Photo tab of your project. During room creation, photos can be taken of the scene using the camera button, once you've detected your surface. By default, measurements are displayed in photos but this feature can be deactivated in the settings menu. Once a photo has been taken, it is automatically labeled & categorized based on your room. Categories can be adjusted on the photos tab & photo details screens.